The Bold and the Beautiful What's your お気に入り couple? Adults round. I don't know why everyone likes Bill & Katie, she's way too good for him, he's such a jerk!!! Well,Katie did have a positive influence on him after all. Um, that pic isn't of Brooke and Eric, it's Brooke and Deacon. 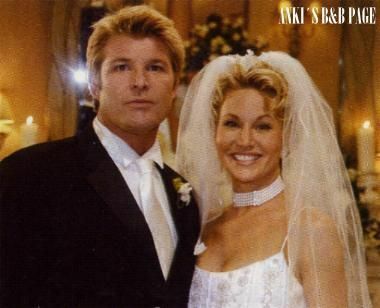 Anyway, I loved Brooke with Ridge, hate how they broke up their latest marriage over a stupid text message. But I guess they had to do something with RM leaving the show! But whatever, I still believe their soulmates and belong together. Also loved Thorne and Darla, Brooke and Eric (the little I saw of them, didn't watch when they were first together), Bill & Katie, Taylor/Nick, Brooke/Thorne, Taylor/Whip & Eric/Donna. 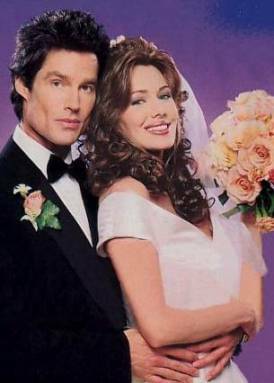 Also thought Bridget and Owen could have been nice, but the writers seemed to want Jowen for whatever reason! And I thought Deacon/Amber were amazing and should have been explored more, same with Marcus/Amber.